Content: 62 Minutes of chess theory and discussion, with example games, in 3 lectures. 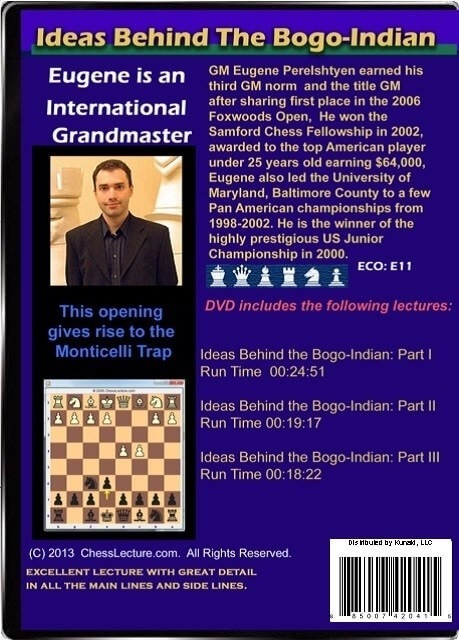 Fans on ChessLecture.com said: Excellent lecture with great detail with all the main lines and side lines. GM Eugene Perelshtyen earned his third GM norm after sharing first place in the 2006 Foxwoods Open, giving him the official GM title. He won the Samford Chess Fellowship in 2002, an award that amounts to $64,000, which is awarded to the top American player under 25 years old. Eugene also led the University of Maryland, Baltimore County to several Pan American championships from 1998-2002. Eugene also won the highly prestigious US Junior Championship in 2000. 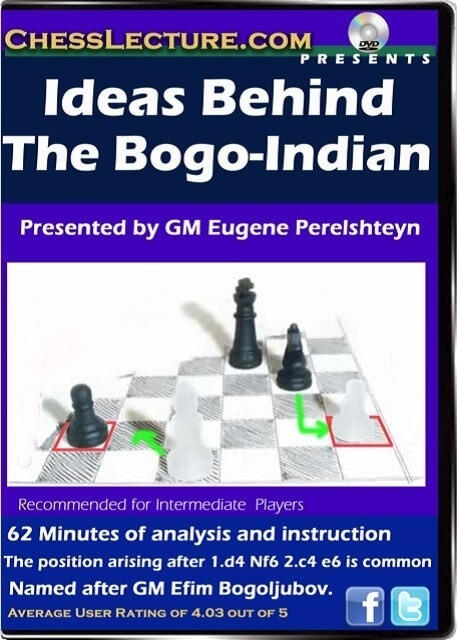 Eugene recently co-authored the books Chess Openings for Black, Explained and Chess Openings for White, Explained.